Viacom's interim CEO and President Tom Dooley will be leaving the company after November 15. Dooley's departure was announced after a board meeting Wednesday. Dooley was promoted from COO to interim CEO upon the resignation of former CEO Philippe Dauman, but the appointment was only supposed to last through the end of September. Dooley would have stepped down from the role of CEO when a replacement was found, but Wednesday's news signals his departure from the company entirely. "While this was a difficult decision for me, I have great admiration for our new Board and I feel that they will be best able to execute on their vision for the Company in the hands of a new President and CEO," Dooley said in a statement. "I am certain that the Board will make the most of the Company's extraordinary potential. I want to thank Sumner, Shari and the members of the Board for the opportunities they have provided me." According to a release from Viacom, Dooley agreed to stay on through mid-November to allow the company time to find a replacement. Dooley's appointment as interim CEO came after a power struggle for control of Viacom (VIA), one of the world's largest media companies. Sumner Redstone, who is the company's controlling shareholder, has been in poor health for several years and his mental competency has been challenged in court. He and his daughter, Shari Redstone -- the non-executive vice chair of Viacom -- were previously estranged but are back in each other's lives. Shari Redstone became embroiled in a very public battle over the company's future with Dauman, who had accused her of taking advantage of her father's poor health and grabbing for control of Viacom. The dispute was resolved on August 18 when Viacom's board voted on a settlement, which resolved numerous lawsuits and countersuits between the two sides. As part of the resolution Dauman resigned immediately and Dooley took over. 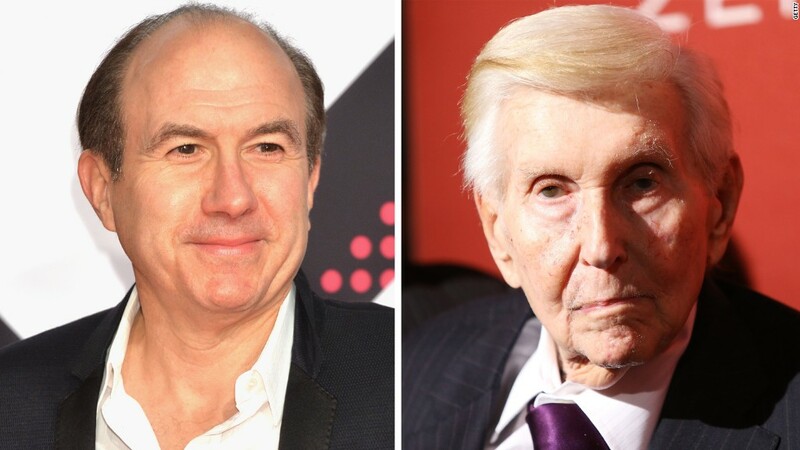 The Viacom board, which has five new members appointed by the Redstones, will decide on succession plans.